إذا كنت تبحث عن فندق بموقع جيد في جولد كوست، فقد وجدت ضالتك في Cashelmara Beachfront Apartments . يسهل الوصول إلى هذا الفندق ذو 4 نجوم من المطار، فهو يبعد عنه مسافة فقط. يوفر الفندق بفضل موقعة الجيد وصولاً سهلاً إلى أهم معالم المدينة.
. استمتع بالخدمات الراقية والضيافة التي لا مثيل لها بهذا الفندق في جولد كوست. إن خدمة سيارات الأجرة, تسجيل وصول/خروج سريع, تخزين الأمتعة, صف السيارات, مرافق للشواء هي جزء فقط من الخدمات التي تميز Cashelmara Beachfront Apartments عن باقي الفنادق في المدينة. لقد جهزت هذه الإقامة الفندقية بعناية فائقة لتوفر مستوى عالي من الراحة. في بعض الغرف يجد النزيل غرف لغير المدخنين, مكتب, شرفة/ تراس, ساعة منبه, تلفزيون. كما أن مجموعة الخدمات الواسعة الموجودة في الفندق لضمان راحتك تترك لك الكثير من الخيارات لقضاء وقتك أثناء فترة إقامتك. إن Cashelmara Beachfront Apartments هو خيارك لخدمة الفنادق الراقية في جولد كوست. سيخضع مسبحنا للتجديد من 29 أبريل إلى منتصف يونيو 2019. Fantastic price, great location and view. We loved the views and the apartment was gorgeous. The staff were extremely friendly and helpful. It was an amazing holiday and we will definitely be back next year. Great view over Burleigh Heads, short walk from Burleigh village shops. David and Helen at front desk were very helpful and informative in regard to local area. Had a great time staying here and will visit again in the near future. -nothing but beach and ocean for miles and miles ... great spot for whale watching. We had a lovely short stay at Cashelmara in Unit 20. I was very happy with the roominess in the unit and it was very clean and tidy which is a must. While not as 'up to date' as some units with its cabinetry and bathrooms, they were functional and clean which is all that matters. The size of the unit impressed me and we felt very comfortable and relaxed there. The situation right across the road from the flagged beach was perfect and the views were wonderful. We even got to watch whales frolicking by in the ocean. Will definitely considering staying again if we come back down that way. It was a great stay and I would highly recommend. 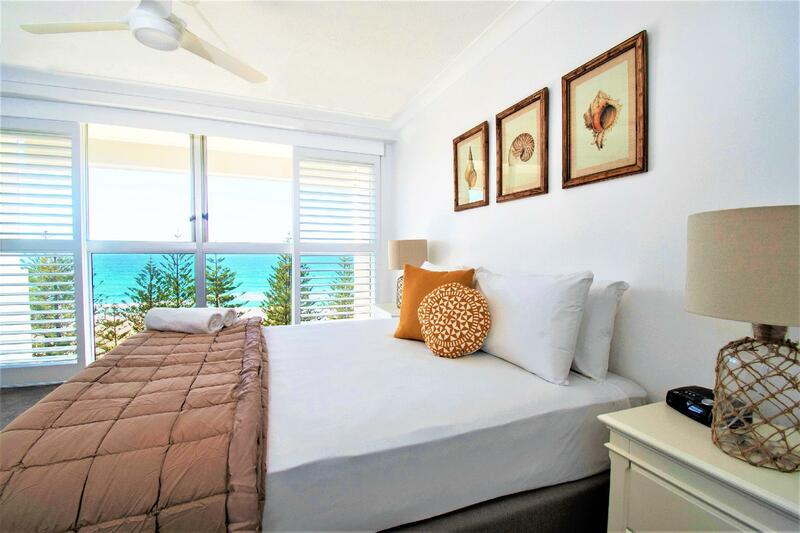 The apartments are older 1980's style original with large rooms & clean right opposite the beach catching the sea breeze & people watching from our 1st floor unit. Management fantastic would definitely stay again! 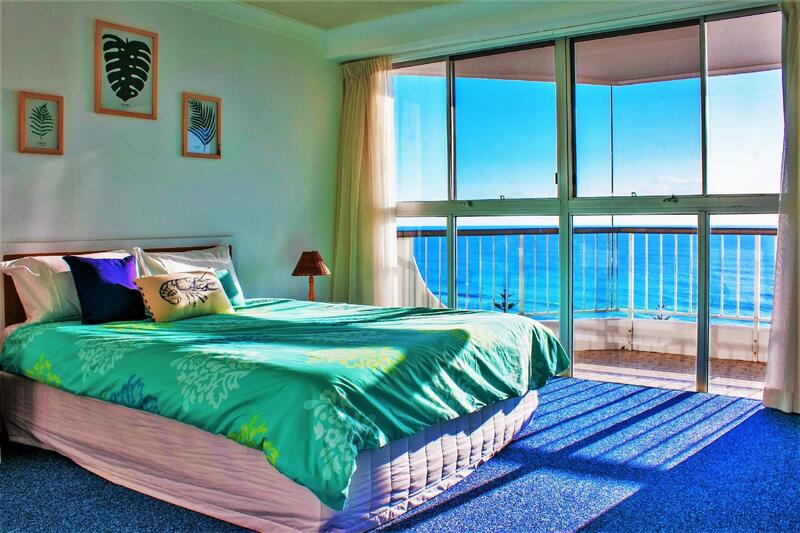 our unit on the 16th floor was spacious & modern with fantastic uninterrupted ocean views. But the kitchen window needs a blind to block out the morning sun (stop glare). Air conditioning is a MUSTHAVE in this day and age... and this unit did not have it. Loved the shower head! Is an ideal unit for the cooler months. From the 14th floor we had amazing views of the beach and the city. It was across the road from the beach and a short walk to the shops. Very comfortable furniture in our unit. Everything was perfect. We had three generations in our three bedroom apartment and everyone was happy.